You have a dream and you set a goal to make it reality. Maybe it's to lose 50 pounds, improve your relationship, build your savings account up to $5,000, or to focus on your spiritual growth (or anything else you desire). But every time you make progress a negative voice pipes up in the back of your mind casting doubt on your ability to succeed. So you slip up and watch your heartfelt goal float away. And, if you know my personal story, you know I've dedicated my career to making sure you know it doesn't have to be this way. That's why I was delighted to say "YES!" 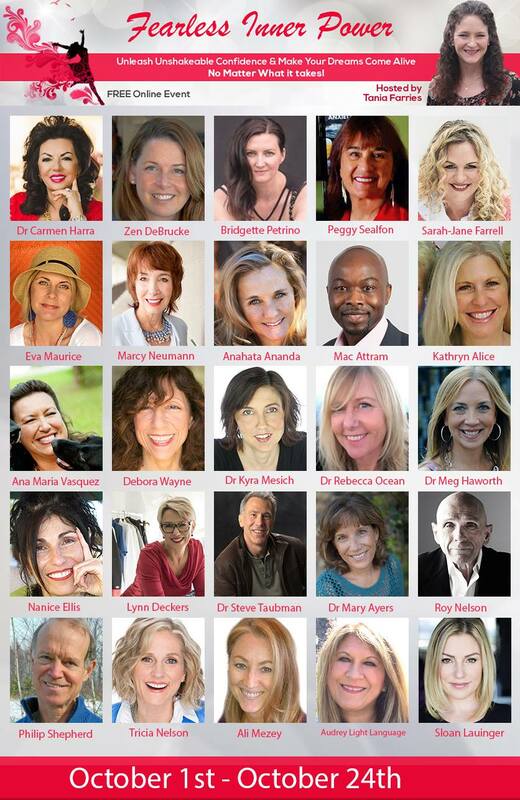 when my friend Tania Farries invited me to be one of her 21 experts in success, happiness, and inner peace sharing our most powerful tools and strategies at her FREE online event. Get The Tools You Need To Achieve Your Most Heartfelt Dream. When you go to the link above and enroll in this powerful online interview series, you'll enjoy a supportive, uplifting, exciting event where you'll discover that you can free yourself from those voices in your head—the ones that tell you you'll never accomplish your goals—and follow a proven path to achieving what you want! • The secret power that puts you on the fast track to success (learn this, and you’ll save yourself time and struggle!). • The importance of opening your heart and keeping it simple, because when you're laser-focused on your goal, nothing can stop you. • How to listen to your intuition, and know the difference between intuition and fear…so you can make choices with confidence, knowing you're following the best guidance in the universe. In short, you'll discover tools and insights that empower you to handle any challenges you face, and ultimately, achieve the goals that are important to you! Tania is the perfect person to host this summit. She spent years struggling through debilitating anxiety, chronic health problems, unhealthy relationships, and a lack of financial freedom. Then, several years ago, she began a personal development journey and discovered tools that changed her life dramatically. 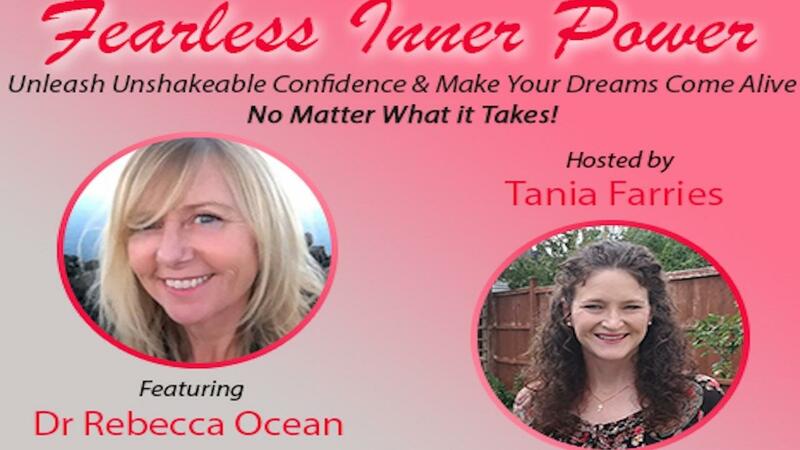 Now, she's created the Fearless Inner Power interview series to share those tools with you. If you're ready for change, then join us to create the confidence you want and need, and to dissolve the obstacles that stop you from reaching your goals. Confidence, Tools, Results! Join Us At No Cost. P.S. Tania created this program to give you the support many of us wish we had during our most challenging times. Registering for the Fearless Inner Power Summit and listening to her hand-picked panel of experts will make you feel inspired, uplifted, full of hope, and empowered to go after your dreams! You will gain life changing tools that you can implement immediately in your life and to unleash your Fearless Inner Power and develop a strong foundation of confidence, peace, and joy! Steady Forward Progress Towards Your Goals.